Lake Ashinoko in Hakone, Kanagawa Prefecture. In the background, Mt. Fuji can be seen. 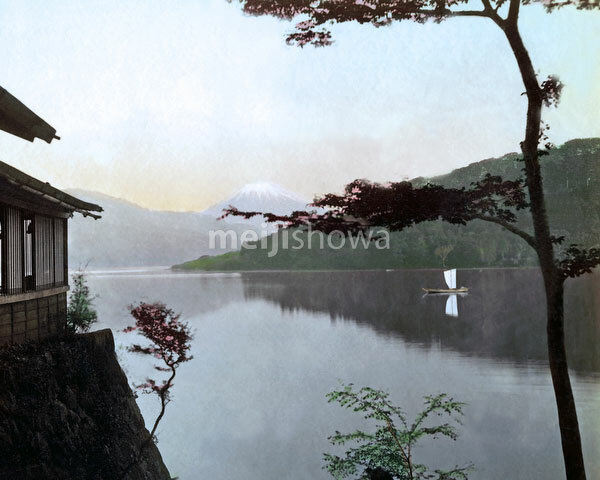 The lake is in the caldera of Mount Hakone. It has become the symbol of Hakone.